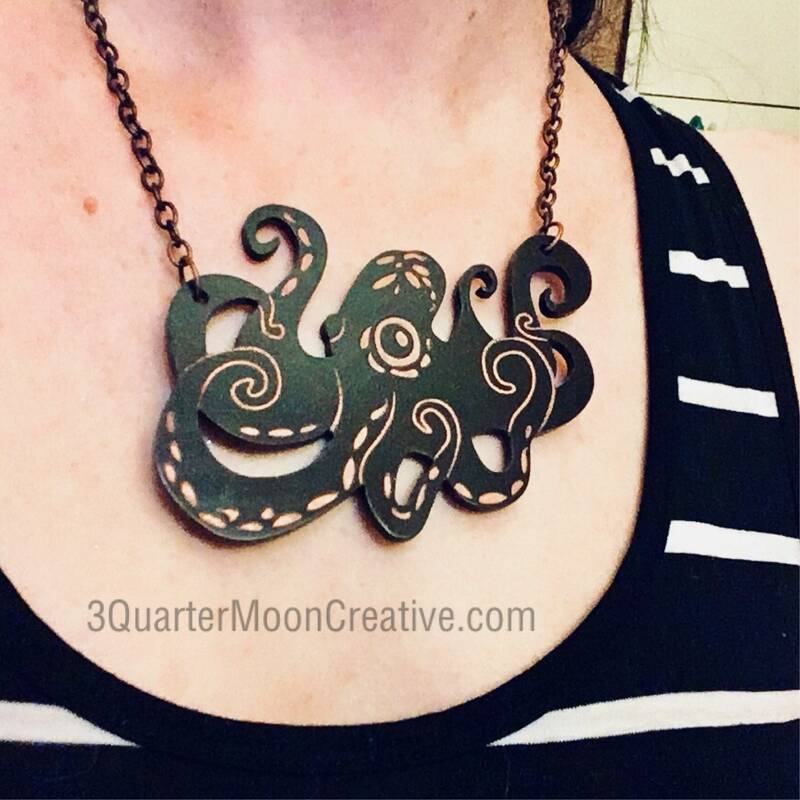 Cute octopus necklace designed, laser-cut and finished by 3QuarterMoon Creative. The entire Copper- style chain is approx. 14” long so it will rest the wings along the collarbone.